The Office of Career Services at the University of Houston-Clear Lake offers a variety of programs, services, and resources to help students successfully launch into an exciting career upon graduation. 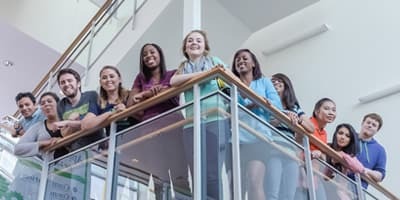 The office facilitates opportunities for students to connect with potential employers and industry leaders and develop their professional skills. These interactions occur in workshops, panel discussions, job fairs, networking receptions and internships. Partner with Career Services to help students. Our Corporate Partners Program, allows your organization to donate directly to the programs and services we offer to students and alumni. The Office of Career Services originally created the Corporate Partners Program as a structure for recognition of annual giving by companies who assist us in achieving our vision for student growth. You can sign up for a partnership at the Bronze, Silver or Gold level. For example, Flow-Cal, Inc., a Houston-based software developer, is a valued partner at the Interview Room Sponsor level. Our office is funded through student service fees; we receive no direct state funding. 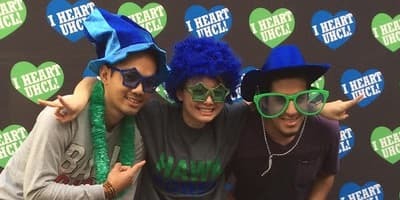 In order to continue to provide programs and experiences that help UHCL students develop professional and leadership skills, we must depend on the generosity of private and corporate support. Funding from this program allows us to offer high impact services and programming to meet the needs of our student and alumni population. The Office of Career Services at the University of Houston-Clear Lake will continue to provide services and resources to students as they prepare for their future careers. However, we cannot do it without you, we need your support. 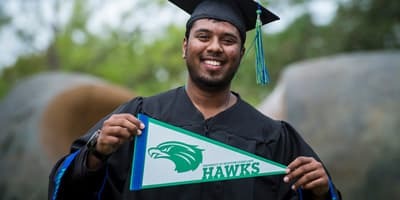 We ask that you strongly consider joining our Corporate Partners Program to keep UHCL’s Hawks soaring. Students and alumni depend on our resources to help them set future goals, develop career paths, write resumes, and practice interview skills. Our office also provides guidance to students and alumni on how to showcase the skills and experiences gained at UHCL. We believe with your help students can successfully soar in their future careers. Mon. - Thurs., 8 a.m. - 6 p.m.
Fri., 8 a.m. - 5 p.m. Please call ahead during holidays and semester breaks.